When you pass the Makerspace room at Pawling Middle School, you will find students designing, drawing, building, thinking. Stations with many different materials are available to encourage the mini-inventors. Alex Jager, 6th grader, checks on his moving creature. Hayley Brill and Sabrina Monterrosa, 5th graders, demonstrate their moving creature. 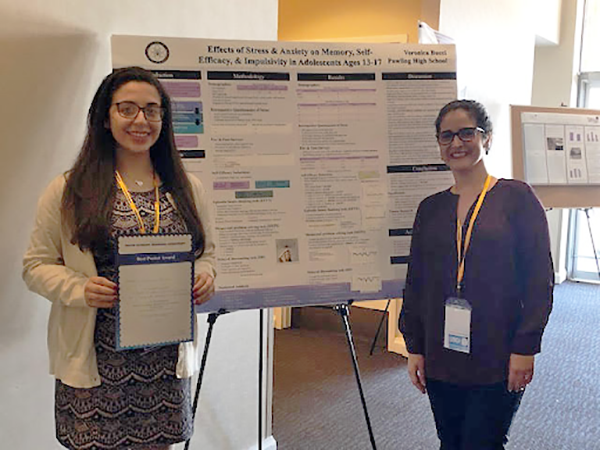 Senior Veronica Bucci celebrates her first place award with Patricia Garcia, Ph.D., conference director and a professor at the University of Miami Miller School of Medicine. Veronica Bucci, a senior, took First Place for Best Poster at the 30th World Summit on Positive Psychology, Mindfulness, Psychotherapy and Philosophy Conference in Chicago, Ill. Not only did she present her research to world-renowned psychologists, sociologists, and psychiatrists, but she was asked to present her new research as a speaker to fill a time slot designated for a doctoral candidate who was delayed due to travel issues. Veronica competed against doctoral students to earn the first place finish. Mr. Malone explains the egg toss to students from Pawling High School and Pawling Elementary School. Pawling High School physics students visited Pawling Elementary School to let fourth grade students throw eggs as hard as they possibly could. 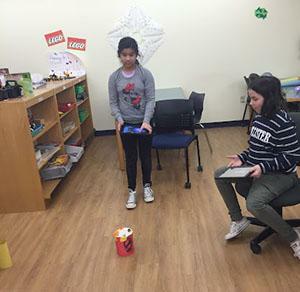 Fourth-graders in Project Lead the Way (PLTW) classes participated in an Egg Drop Challenge in which they are designing restraint systems to protect an egg from a 10 foot drop. 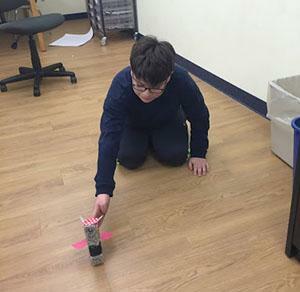 “This demonstration showed our fourth-graders the importance of extending the time it takes for an object to transfer its kinetic energy after a collision,” explains Stephen Malone, PLTW teacher at the elementary school and technology teacher at Pawling High School. Scooters, smoothies, and sports were all part of this year’s Wonderful Wellness Day on March 9 at Pawling High School. 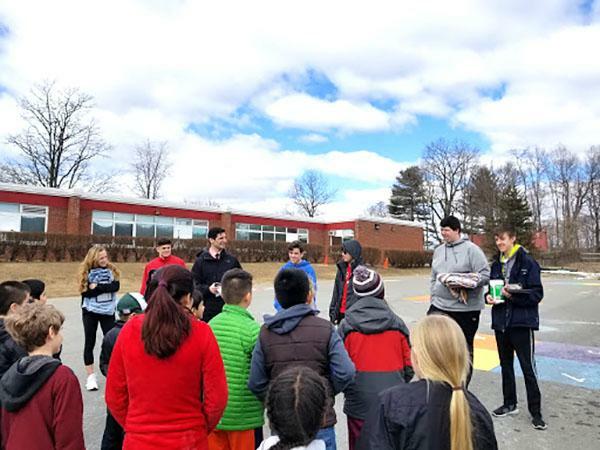 More than 70 students participated in the day’s events, which were hosted by Pawling Central School District’s Health and Wellness Committee along with the Pawling Recreation Department. Pawling High School athletes were honored for their participation in Winter Sports on March 8. 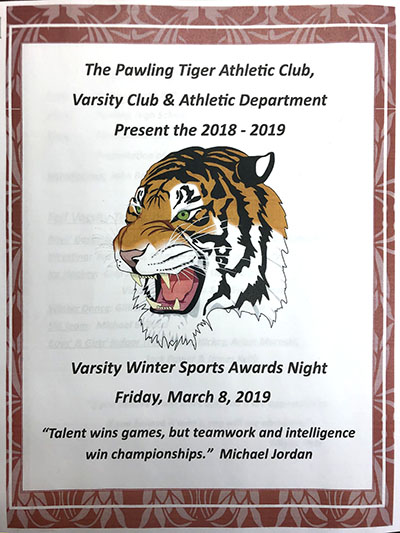 "Pawling Tigers Varsity Sports Awards Nights are the perfect time to celebrate all that our athletes do during their seasons," says John Bellucci, athletic director. "Our athletes dedicate a great deal of time and to their sports and it is important to recognize them for the part they play in creating a strong Pawling school community." He added that athletics support relationships and working toward a collective goal. "It is very important that we value the effort that results in improvement and not just the participation. Our awards are one way we can show that we value these things in our school and extended community," Bellucci says. Pawling Central School District has added to its social media options. You can now find us on Instagram and Youtube . Pawling High School Spring Musical: “Freaky Friday”. Performances: Friday and Saturday, April 5 and 6, at 7:30 p.m.; Sunday, April 7 at 2 p.m.